Again, I read this book because of glowing recommendations on Twitter. I did like it. I didn’t love it. 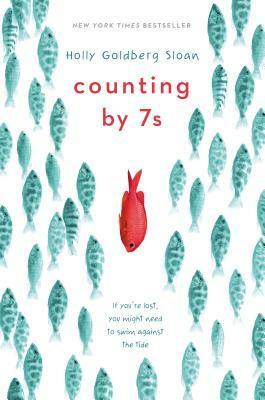 Contemporary middle grade, it’s the story of a twelve-year-old genius whose adopted parents die suddenly, after which an assortment of misfits takes her in. There’s a Vietnamese family at the heart of it, and they are wonderful. There is also a loser guidance counselor, who becomes a bit less of a loser as time goes on. I can’t really say more without spoiling things. I guess the part I struggled with was that the main character doesn’t need to be a genius to make the story work, and making her a genius felt a little cliche and also not as well done as the rest. I don’t know.